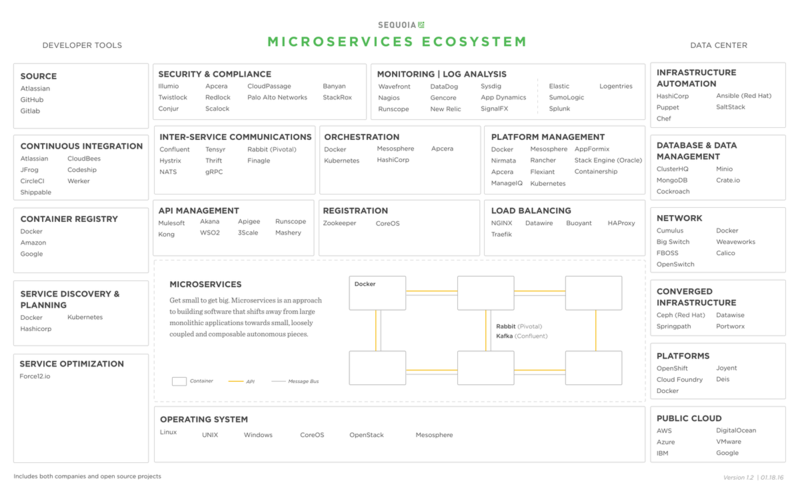 Matt Miller of Sequoia recently published a map of the microservices ecosystem. The ecosystem map is very focussed on infrastructure. It lists many of the usual suspects including Docker, Kafka, Cloud Foundry, Azure, and Chef. It includes some developer frameworks such as Hystrix but unfortunately, the focus on infrastructure means there are some surprising omissions. That is a shame because if you are building microservices you need a microservice chassis, such as Spring Cloud + Spring Boot. A microservice chassis is a framework that enables you to quickly create a new service. It handles cross-cutting concerns such as logging, service discovery, service registration, externalized configuration, etc. Also absent from the microservices ecosystem map are technologies that make it easier for application developers to write the business logic, the raison d’être for the microservices. This is unfortunate since microservice patterns such as Database per Service have a profound impact on how business logic is written. It is often impossible to use the familiar ACID transaction model and instead developers must use BASE transactions. 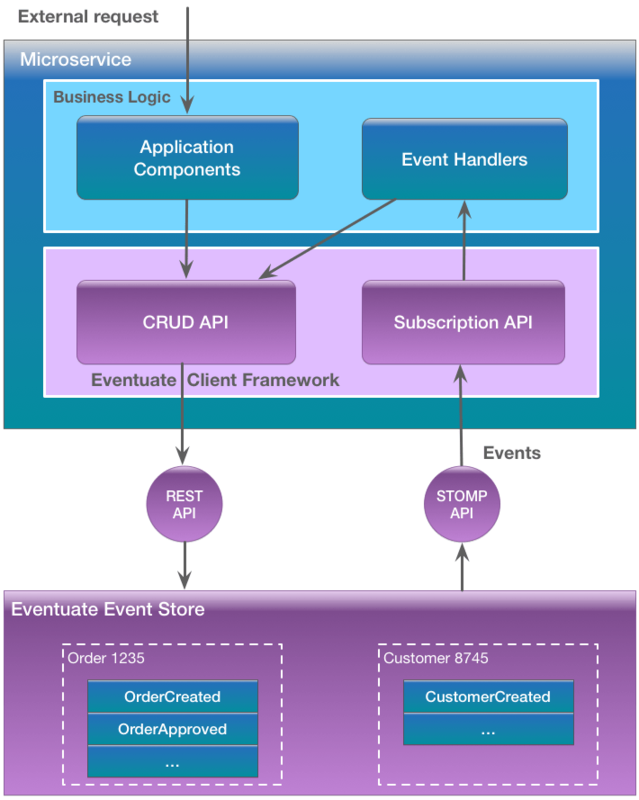 The goal of the Eventuate platform is to to help application developers address these issues. It provides a simple yet powerful event-driven, programming model that, among other benefits, solves the distributed data management problems inherent in a microservice architecture. The platform consists of a scalable, distributed event store server and client libraries for various languages and frameworks including Java, Scala, and the Spring framework. Eventuate makes it easy for application developers to implement eventually consistent transactions that span multiple microservices. Microservices are more than than just infrastructure. You need a microservices chassis so that you can quickly create new services. Many microservice-based applications will benefit from using a platform such as Eventuate to solve distributed data management problems. Hopefully, the microservices ecosystem map will be expanded to reflect this reality.